In sad news, Titans wide out O.J. Murdock has committed suicide in front of the very high school he attended. Tennessee Titans wide receiver O.J. Murdock committed suicide this morning in front of the Tampa high school he graduated from, according to the Tampa Police Department. He was 25 years old. According to a news release distributed by the Tampa police, Orenthal James Murdock was found in his car at approximately 8:30 a.m. in front of Middleton High School. He had suffered an apparent self-inflicted gunshot wound and was transported to Tampa General Hospital in critical condition. 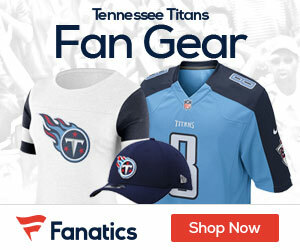 Murdock was pronounced dead at 10:43 a.m.
After Murdock did not report to the Titans’ training camp last week, coach Mike Munchak said Murdock had been excused for “personal reasons.” No details have emerged of the issues that Murdock was dealing with. An undrafted free agent who signed with the Titans last year, Murdock missed the entire season with an Achilles injury. Murdock began his college career at South Carolina, where he played for two years, then transferred to Fort Hays State, where he played two more years.